Volkswagen AG secured sufficient backing so it can move forward with its $9.2 billion bid to acquire Scania AB, removing its last hurdle to an effort of close to ten years to forge a unit of heavy trucks. VW, which has control of two thirds of Swedish Scania, received the support of a shareholder that gives it 90.46% of the company, said the Germany based maker of autos on Tuesday. That backing pushes Volkswagen above the 90% threshold it needs under the laws of Sweden to force out the remaining owners and have Scania delisted. VW is the largest automaker in Europe and has been working to have Scania fully integrated to deepen its three-way cooperation between MAN SE based in Munich, the Swedish company and its commercial vehicles. 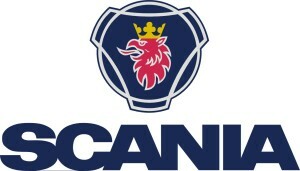 The purchase of Scania caps VW’s effort that started back in 2006 to create a division of global trucks that would complete with leaders Volvo and Daimler. Martin Winterkorn, the CEO of the group said that the business of commercial vehicles was becoming more and more the second strong part of the German group. Scania was up by 0.2% just under the original offer price and traded at the level in early afternoon trading in Stockholm. Volkswagen has reaped thus far limited rewards financially from the billions it has invested in purchasing control of the Swedish automaker and MAN as the minority investors resisted the company’s efforts to share in technology that would increase it overall profit. The combined three businesses would pass Daimler based in Stuttgart and Volvo in Gothenburg as the largest producer of trucks in Europe. VW has achieved just 200 million euro savings from its joint work amongst its van unit, MAN and Scania. The goal for VW is to deepen its cooperation amongst all three businesses for chassis, drive trains, electronics and cabins to obtain annual synergies in operating profit of more than 650 million euros. VW, which on April 30 extended its offer period after it attained support of shareholders in the amount of 88.25%, declined to increase its offer, which is 36% more than the closing price for Scania before the proposal date of February 21.